We’re truly grateful for the mountains of support, encouragement, good will, and cooperation that we have received over the 23 years we have been doing business. And September of this year will mark our 19th period since becoming incorporated. It is the relationships with companies that are too incredible to put into words and the many wonderful individuals we have had the honor of knowing that has allowed us to do business for so long. The “Al” in our company name stands for “alle,” which means “everything” in German, and “Connection” refers to relationships. There is a Japanese saying that goes, “enduring generates strength.” And just like that saying, we are so happy that everyone’s input has allowed us to continue being a part of society. We will continue to work hard with gratitude and respect in our hearts towards all of the people we have had relationships with in the past and everyone we will meet in the future to repay everyone for their kindness. It is our goal to engage in healthy company management that consistently rises to challenges and dives into innovation. In this endeavor, we use “gathering,” “communicating,” “linking,” and “fulfilling” dreams as our keywords. Moreover, providing services that contribute to the world and continuing to be a company that has captured the hearts of our customers is our greatest joy in this management process. What’s more, our business isn’t bound to any specific “goal” limitations. Regarding our obligation towards an aging society with a falling birth rate, we feel that our mission is to constantly search out new potential and contribute to society with the spirit of rising to all new challenges. Without something important to protect, humans become apathetic, unmotivated, and vulnerable. When people have the strength to protect something important, they are able to use their brain power passionately and live life full of courage. Using IT technology and information effectively, we strive daily to achieve a better future by providing the best and most universal services. Launched Planning Office and Key West. Started event production services and survey services. Started website related planning, design, and operation services. Started EC mobile telephone website planning, design, and operation related services. 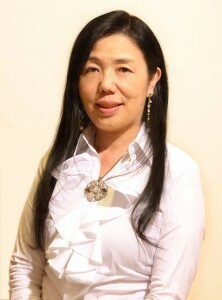 Lika Nakanishi became a director of ” Manpower Development Support Organization” and promoted “Franchise Consultant Manpower Development” as a part of qualification business of the organization. Launched a study session as “Franchise Station” with support by franchise consultant. Recruited study session members from professional occupation persons. Planed and promoted “Franchise Adviser Training Course” which was preparing step for becoming franchise consultant. Started Web Strategy “Ru” Series services. 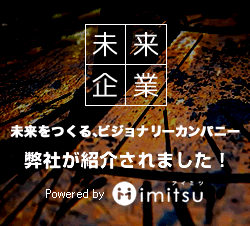 Established “Franchise Station Co., Ltd.”. Lika Nakanish became a director of the company. Hosted totally 5 Franchise Adviser Training Courses. Resumed franchise consultant activity as “franchise solution division” of Al Connection Products, Inc. Copyright(c) ホームページ・ECサイト制作や、サイト分析、改善の専門会社 アル・コネクションプロダクツ All Right Reserved.